I think Kendra Scott’s Color Bar is the greatest idea for bridal jewelry. Not just the jewelry itself, but the excitement involved with choosing the design and gem colors. You have the option of choosing from a great selection of earring, necklace, ring, and bracelet styles, and for my wedding, I chose the Jayna earrings. You can create a Color Bar jewelry item either on the Kendra Scott website or in one of her stores. I went into the Alpharetta location to look at the gems in person then ordered the earrings online (I had an online coupon code). And I absolutely love them! You can also create a wonderful memory with your bridesmaids and have a Color Bar Bridal Party at a store. You can sip on some refreshments while all of you create your wedding jewelry together. I would have loved to have done this but it is not the easiest when all of your bridesmaids were living in different states! Even then, all of my girls were able to create their own jewelry for the wedding. I really loved doing this for my wedding. As with their dresses and shoes, I gave them a few guidelines (either the coral gem or any of the neutral colored gems) and let them have the fun of choosing what they wanted to wear. Whichever route you decide on in choosing your bridal jewelry, I highly suggest you use Kendra Scott’s Color Bar. 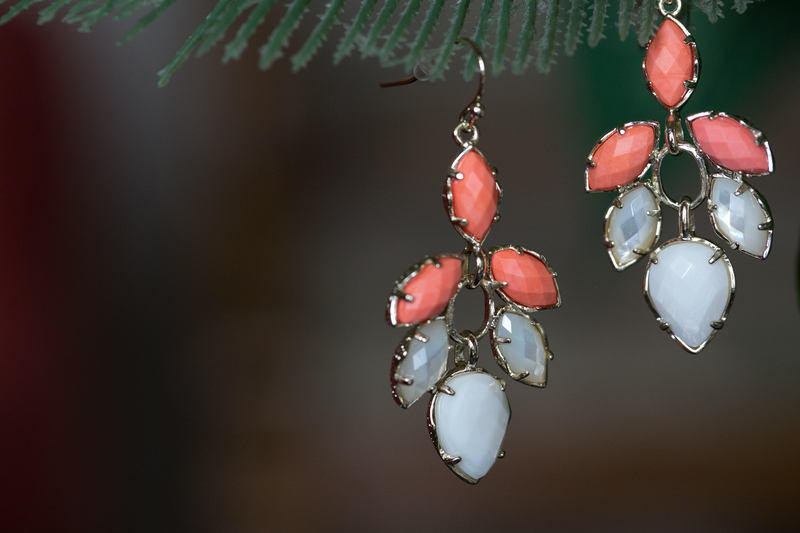 Your earrings will have an extra special meaning for your big day. 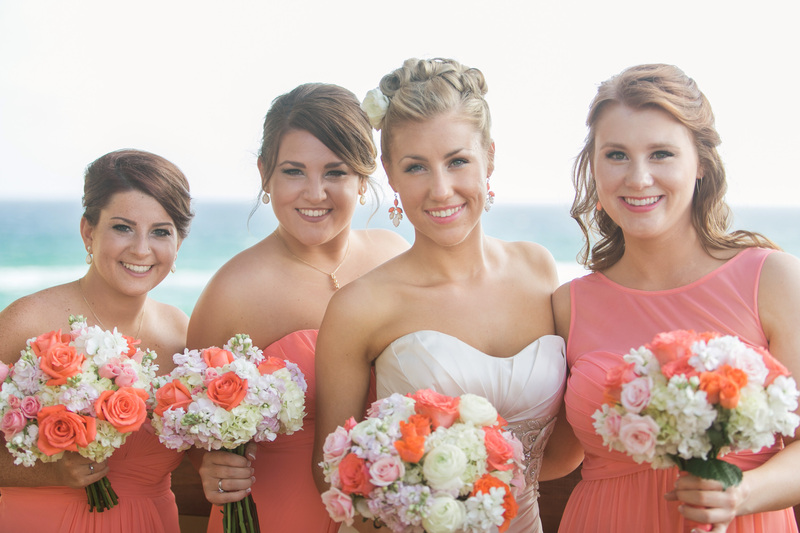 And if you opt for a Color Bar Bridal Party, it will be an experience that you and your girls will never forget!